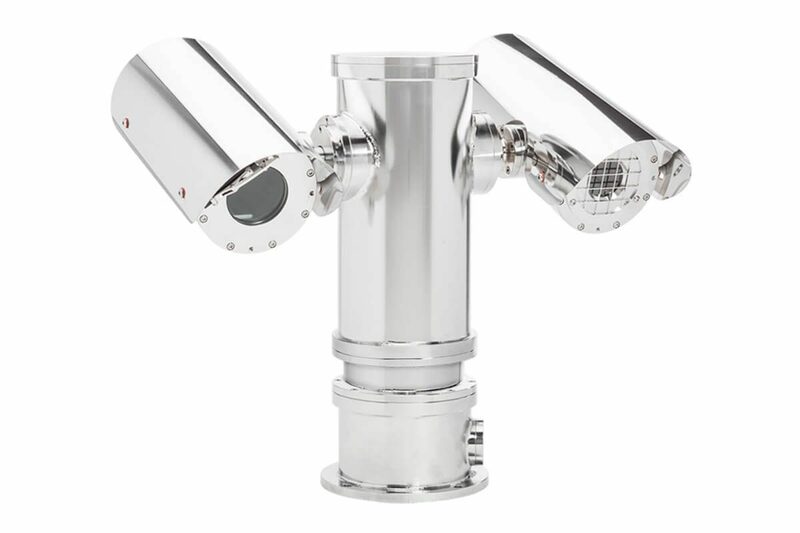 The EXPTZ Series is a reliable PTZ camera station specifically designed for Hazardous Area applications, especially for every situation where corrosive agents may quickly damage standard aluminum-steel camera stations. EXPTZ provides full internal cabling through the integrated base junction box and can be controlled via Pelco protocol thanks to the optional integrated RX250DC telemetry receiver. EXPTZ camera stations are equipped with the latest generation zoom module day/night and thermal imaging cameras, but they are available for customer specified cameras. 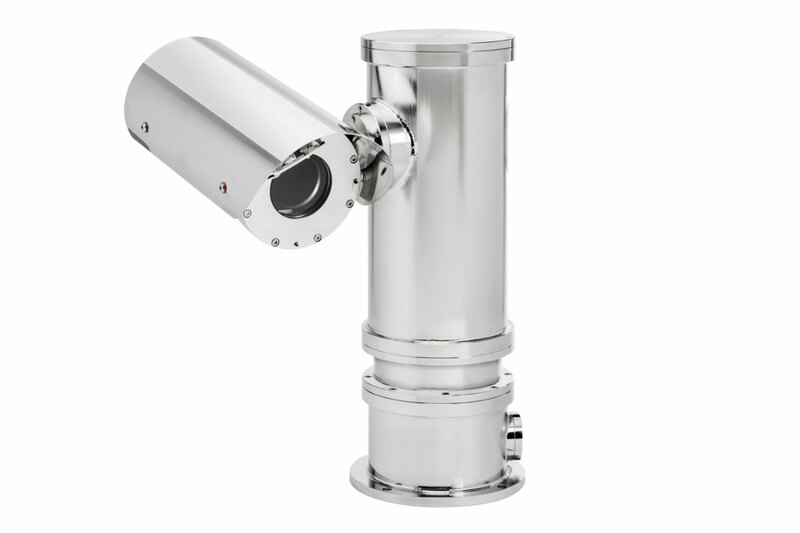 Mounting brackets entirely made in AISI316L stainless steel are available. ATEX certification: II 2 G Ex db op pr IIC T6 Gb -40°C ≤ Tamb ≤ +60°C; II 2 D Ex tb IIIC T85°C Db -40°C ≤ Tamb ≤ +60°C IP66/IP67; II 2 G Ex db op pr IIB T5 Gb -40°C ≤ Tamb ≤ +75°C; II 2 D Ex tb IIIC T100°C Db -40°C ≤ Tamb ≤ +75°C IP66/IP67. Equipped with the latest generation zoom module day/night and thermal imaging cameras. Available for customer specified cameras. Germanium front window (thermal cameras). Built-in telemetry receiver (Pelco protocol). Fixed cable entry with base mount junction box.